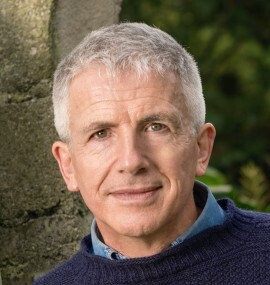 Welcome to the website of Patrick Gale, author of the Emmy award-winning BBC drama, Man in an Orange Shirt and of novels including The Whole Day Through, the Richard and Judy bestsellers Notes From An Exhibition and A Perfectly Good Man, the Costa nominated A Place Called Winter and his latest, Take Nothing With You. 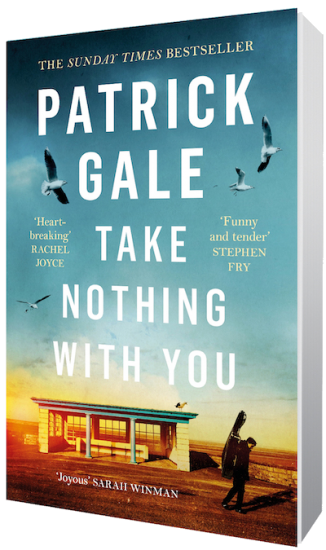 A Sunday Times bestseller within a week of its launch at the Edinburgh International Book Festival in August 2018, and out in paperback from April 4 2019, Patrick’s sixteenth novel, Take Nothing With You, is a sad-funny comedy of resilience and survival that is sure to appeal to fans of Rough Music as well as to readers newly drawn to his work from watching Man in an Orange Shirt. Fifty-something Eustace, a gay Londoner of leisure, realises in the same week that he has fallen hopelessly in love with a man he has yet to meet in the flesh, and that he has cancer of the thyroid. While being given radioactive iodine therapy, which involves spending a little over 24 hours in a lead-lined hospital suite wearing only disposable clothes and with no possessions he doesn’t mind leaving behind, he listens to hour on hour of cello music recorded for him by his best mate, Naomi. This sets his memories circling back to the 1970s and his eccentric boyhood and adolescence in his parents’ old people’s home in Weston-Super-Mare, and how his life was transfigured and his family’s stability shattered, by the decision to attend a recital by the glamorous cellist, Carla Gold.